Special Thanks: Jay Gates, Dr. Kate Wiles, Debra Hilborn-Davis, Isadora Davis. 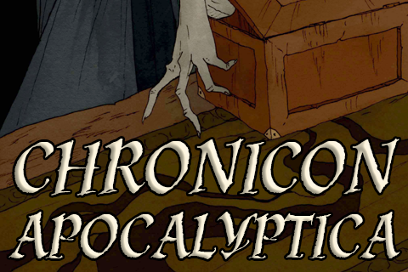 "Chronicon Apocalyptica" is Copyright 2019 Robert Davis. All rights reserved. Robert Davis is a historian, teacher, and general good-for-nothing living in New York. He is the author of Broadway: 1849 and a Contributing Editor for Lady Science, a magazine about the history and popular culture of science.